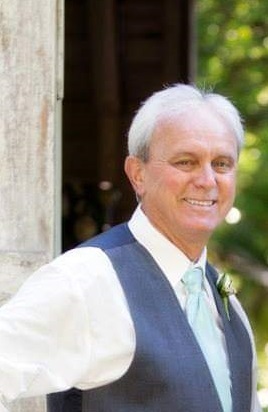 Gary Paul Aucoin, husband, father, Papa, brother, uncle and friend, age 71, resident of Greenwell Springs, Louisiana, passed away on Monday, April 15, 2019. As a young man, Gary joined the United States Air Force and served as an Airframe Repair Specialist & Technician from 1966-72. He then became a sheet metal worker for 35 years before retiring and becoming a full-time Papa. He was married to the love of his life, Cynthia Calamia Aucoin on December 4, 1976 and was an amazing father to his three kids, Ryan, Layni, and Nikki. He was the founding coach and created the Red Hots softball team legacy. A few words that family would use to describe Gary are Meticulous, Dedicated, Loving, Sweet, Hardworking, Incredible, and Giver. Gary loved his family more than anything, and is survived by his son, Ryan Aucoin and wife Beth; daughter, Layni Reynerson and husband Nathan; daughter, Nikki Clark and husband Terry; six grandchildren, Kinlee Aucoin, Miriam Reynerson, Addiella Reynerson, Ava Aucoin, Selah Reynerson, and Tyler Clark; brother, Steve Aucoin and wife Joyce; and sister, Marsha Comeaux and husband Mike. He was blessed with many family members – Butch, Linda and J.B., Beth and Brent, Karen and Donald, Mike and Vickie, Keith and Diana and many nieces and nephews. Lifelong friends Buddy and Barbara, Jerry Lee and Debbie, Clayton and Judy, Chuck and Saundra. He is preceded in death by his wife of 39 years, Cynthia Aucoin, who passed January 18, 2016; his parents Alvin and Rosa Mae Aucoin; grandson, Tyler Kyzar. After his wife passed Sharman Richardson, Alicia Smith, and Debra Fuller helped his children, Ryan and Layni, care for him the last few years of his life. Visiting hours will be observed on Thursday, April 18, 2019, at Resthaven Gardens of Memory & Funeral Home, 11817 Jefferson Hwy, Baton Rouge, LA 70816, from 5:00 pm until 8:00 pm with a recitation of the rosary at 7:00 pm. Visiting hours will resume on Friday, April 19, 2019, at Resthaven Funeral Home, from 12:00 pm until memorial service at 2:00 pm. Burial at Resthaven Gardens of Memory to follow service.